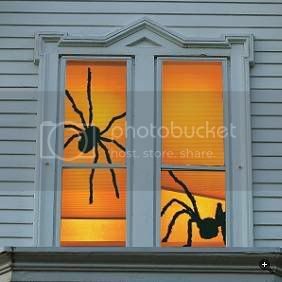 Halloween Fun – Spiders & Ghosts! I love these ghosts. I love these spiders. 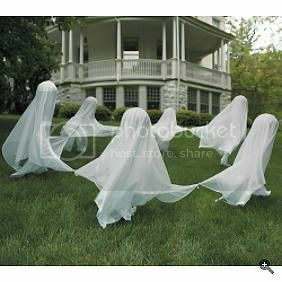 The ghosts make me sad, though, because several years back we created a set even cuter than these (but same concept) and put them around a tree in my parents’ yard and they were stolen on the first night. So sad! Anyway, if you get these you might also want to get a dog to protect them – they are just that cute. I am a huge fan of the Frontgate catalog but mostly like it for ideas!